To Listen Live to this Webcast please click on The Play Button on this Webcast Player at 5pm EST on the 12th of March. If you have questions for the Speaker during the Live Call, then you can press star 2 to raise your hand when calling in on this number by dialing (425) 440-5010, and using the following conference pin: 634374# You could also write in your questions on this q& A Box on this Special Offer page to send your questions to the speaker to be answered during the Live Call. Topic: Ancestral Story Clearing – Healing Your Soul Wounds! Your life is a series of stories. Are your stories empowering you or keeping you stuck? Do you want more out of life, but keep hitting roadblocks? Do you have big dreams, but they seem to only be in your head? Do you keep telling yourself stories about why things aren’t working for you? Do you keep repeating the same old patterns that aren’t working in your life? Have you been abused or in abusive relationships and now you can’t trust again? Maybe you feel like you never will open your heart again. If you said YES to any these questions, then join us with Dr. Monique Hunt and learn how to release Family Karma that is keeping you stuck in your old story of rejection and disappointment. Dr. Monique will provide live channelings from your Ancestors to uncover a Karmic Story that is rooted in your lineage. 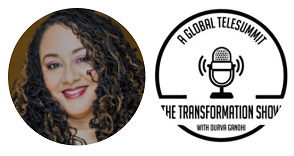 Join Durva and Dr. Monique, as we explore Ancestral Karma, Ancestral Healing and how your Ancestors can be your biggest supporters and mentors. What is Breaking Your Heart? The answer can be found in the old disempowering stories you think about daily, and the Karmic Stories embedded in your DNA passed down from your Ancestors. Karmic Stories are family stories that have occurred over multiple generations and are creating blocks and hidden grief in your life today. Your Karmic Stories are the wounds and cultural traumas of your Ancestors. These stories silence your dreams. They impact your relationships, health finances and your ability to fully express your Soul’s purpose. You will continue to struggle until these wounds are healed. In this workshop, you will discover how the stories breaking your heart are blocking your dreams, happiness and soul’s fulfillment. Many feel lost, disconnected and hungry for a sense of belonging after generations of displacement, oppression, colonialism and the rippling, ongoing consequences of cultural wounds and historical trauma. We carry these burdens within our families and our bodies - but the blessings of our Spirit Elders are embedded in us as well. The Ancestral StoryClearing process is a spiritually-grounded, profound healing technique that empowers you to connect, repair and nurture relationships with your wise and loving ancestors. Dr. Monique travels back into your family’s past to energetically clear unwanted karmic stories embedded in your DNA. This practical, ceremonial process allows you to access the supportive guidance and wisdom of your lineage ancestors directly and reclaim the gifts that are your birthright. Open the pathway to your roots to embrace your gifts and live your soul’s story. Do you feel you are doing all the right things but not getting results? Dr. Monique E. Hunt helps you transform your emotional pain and clear your Ancestral Karmic Stories. With guidance from your Ancestors, Dr. Monique zeroes in on the Karmic Stories passed down from your Ancestors that are embedded in your DNA and creating blocks in your life. With more than 20 years of channeling divine wisdom and Ancestral Story Clearing and healing, Dr. Monique’s passion and purpose are to help people who are struggling with unconscious blocks and issues ranging from money, career and soul purpose, to relationships and loneliness, and poor health. 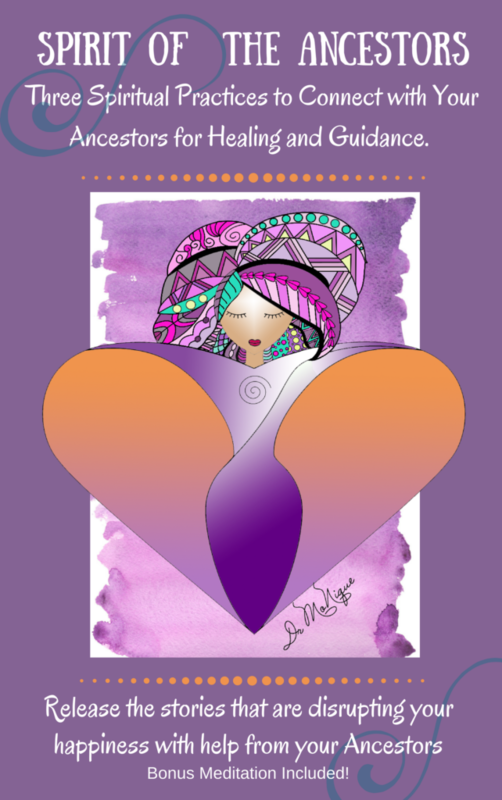 As a Sacred Celebrant, Dr. Monique custom designs sacred ceremonies to help you partner with your Ancestors and grandmothers in the spirit world to create healthy relationships, self-love, and vibrant health enabling you to fulfill your Soul’s purpose. She is here today help you realize how hidden Karmic Stories in your lineage may act as a block to happiness in your life. The wisdom from your Ancestors is available to help YOU create steps to the life your heart and soul desire. Become clear about what is breaking your heart. Uncover the Karmic Stories, Ancestral Wounds and Cultural Traumas that are feeding into your story. Discover which of the nine Karmic Stories are disrupting your life and relationships and how they are impacting your life. Release the Karmic Stories that are embedded in your DNA. We will connect with your Ancestor who lived the story in order to heal, clear and release the wounds and traumas. You will receive channeled guidance from your Ancestors. Once the Ancestor feels healed and forgiven, we invite the Ancestor to be a wise guide on your Soul’s journey. Consciously create your new life story. Using ceremonies, we build your empowering story with the help of your Ancestors and Spirit Guides. We invite them to provide you with their wisdom and guidance for every area of your life. You want to live more in alignment with your Soul's Purpose and release the family Karma that makes you feel blocked and trapped. You know that connecting to a source of wisdom and guidance that isn't associated with the opinions and judgments of others is valuable and essential. You are ready to not only heal the family Karmic Stories for yourself but your family too. In this program, we will focus on releasing three Karmic Stories of your choice which may be preventing you from connecting with the right people, clients, opportunities and your soulmate. Tools to help you identify the soul wounds that not only prevent you from achieving your dreams but have the potential to impact and disrupt the dreams of future generations in your family. The nine Karmic Stories that impact your life disrupt your happiness and silence your dreams. The top three Karmic Stories that prevent you from enjoying the relationships that you desire. Why the Karmic Story of Abuse is creating a cycle of self-abuse and relationship chaos in your life. to uncover a Karmic Story that is rooted in your lineage. 2 payment before 15 days from the date of first purchase. to know more about the payment plan. Attend online or by phone. During the session you will be able to ask questions, received channeled guidance and messages from your Ancestors and receive a Story Clearing. If you can’t attend the live session, you can submit questions in advance. All sessions will be recorded and available for replay. This chakra clearing meditation will assist you with clearing painful stories from past relationships. It will help you begin the healing process to welcome more love and peace into your life. Your Ancestral Story Clearing journey begins with helping your Ancestors Forgive each other for past hurts and pain in order to clear wounds and cultural traumas in your lineage. Story Clearing with channeled guidance from your Ancestors in these private sessions. We will connect with your Ancestors to clear and release the stories that are preventing you from enjoying the life you desire. Learn the spiritual practices, rituals and actions your Ancestors recommend to experience the life you desire. 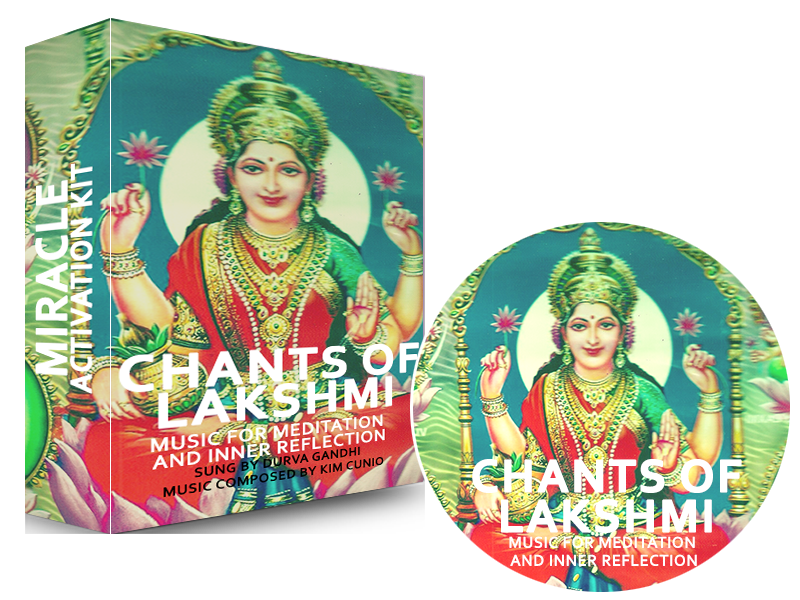 These channeled sessions are held by phone or online. Between your first and second session, I will customize an Ancestral StoryClearing Meditation and Forgiveness Prayer to assist with Clearing the Karmic Story you select. This MP3 will be yours to keep and is downloadable. The meditation and prayer are powerful tools that you can listen to over and over and share with other family members to increase the energy of wellness within your family and lineage. To be completed after the first private session. Learn three spiritual practices you can use immediately to connect with your Ancestorsfor guidance and wisdom in your relationships, career, business, soul’s purpose and finances. Learn who your Ancestors are and why it is important to connect with them. “With this message, I would like to acknowledge Dr. Monique E Hunt for a wonderful healing session with me today. As a healer and intuitive soul myself, I can really appreciate many things that she does during her Ancestry Healing sessions. First, she is excellent at offering a very clear structure together with all the needed flexibility during the whole session according to how things develop. She has a tremendous natural rapport with the Ancestors, and she can connect with them in a very profound and loving way. All the messages she shared resonated with me, my family and my life. The healing space she offers is filled with respect, empathy, and compassion. You just need to make sure to remain open and to let this wonderful woman guide you throughout the session. It will be not only painless but a source of wisdom and inspiration for yourself. Dr. Monique E. Hunt helps you transform your emotional pain and clear your Ancestral Karmic Stories. Do you feel you are doing all the right things but not getting results? With guidance from your Ancestors, Dr. Monique zeroes in on the Karmic Stories passed down from your Ancestors that are embedded in your DNA and creating blocks in your life. With more than 20 years of channeling divine wisdom and Ancestral Story Clearing and healing, Dr. Monique’s passion and purpose are to help people who are struggling with unconscious blocks and issues ranging from money, career and soul purpose, to relationships and loneliness, and poor health. 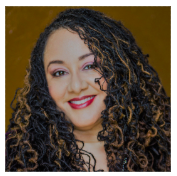 Dr. Monique is an internationally respected Ancestral Story Clearer, bestselling Author, Teacher, Healer, and the Founder of the Ancestor Wisdom School. As a Sacred Celebrant, Dr. Monique custom designs sacred ceremonies to help you partner with your Ancestors and grandmothers in the spirit world to create healthy relationships, self-love, and vibrant health enabling you to fulfill your Soul’s purpose. She is here today help you realize how hidden Karmic Stories in your lineage may act as a block to happiness in your life. The wisdom from your Ancestors is available to help YOU create steps to the life your heart and soul desire. Dr. Monique’s devotion to the Ancestors comes from her training with her Ancestors both in physical and spirit form, her doctorate in Metaphysical Counseling, training with spiritual teachers from around the globe and two decades of implementing the teachings of Ancestor reverence in her life. Through her Story Clearing sessions and Ancestor Veneration Ceremonies, she has helped hundreds of clients reconnect with their known and unknown Ancestors for healing and guidance.